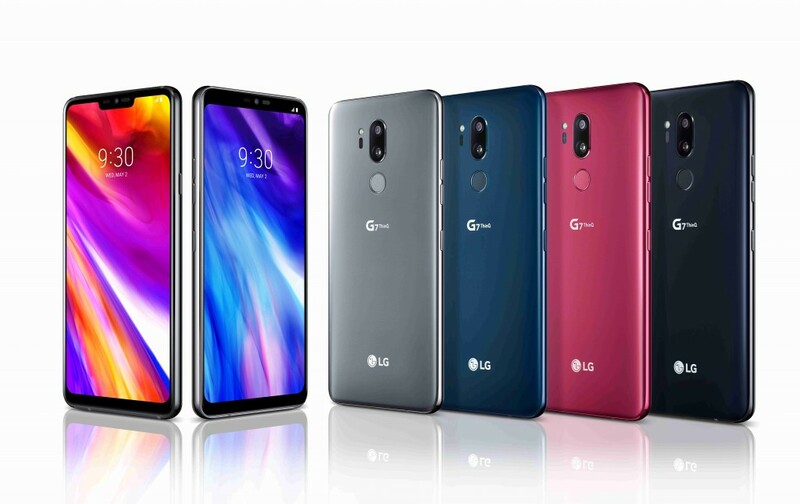 LG announced their new smartphone, LG G7 ThinQ last 2nd day of May with its upgraded features. LG G7 ThinQ has high quality including its ear piece, camera, and sensor. It is 6.1 inches wide and builds up in Gorilla Glass 5 in front and back with aluminum frame with 6GB RAM and 128GB storage with micro sdcard slot. LG G7 ThinQ’s resolution has 1440 x 3120 pixels and is a multitouch. It contains Android 8.0 Oreo and planned upgrade to 9.0 (P) and a Qualcomm SDM845 Snapdragon 845 with Andreno 630. A G7 ThinQ sensor has a fingerprint lock and a rear-mounted, accelerometer, gyro, proximity, compass, and barometer. Similar to LG G6, LG G7 ThinQ has a non-removable Li-Po battery but has only 3000 mAh capacity unlike LG G6 that has 3300 mAh capacity. The available colors for this new display LG G7 ThinQ are New Platinum Gray, New Aurora Black, New Moroccan Blue, and Raspberry Rose. The management has not yet confirmed the price but it will be available this month at US Cellular and other shipping websites.